The rich tones of the American Black Walnut real wood veneer in this luxurious dressing room suite add contemporary style, sophistication and warmth to create a sensual dressing room ambience. 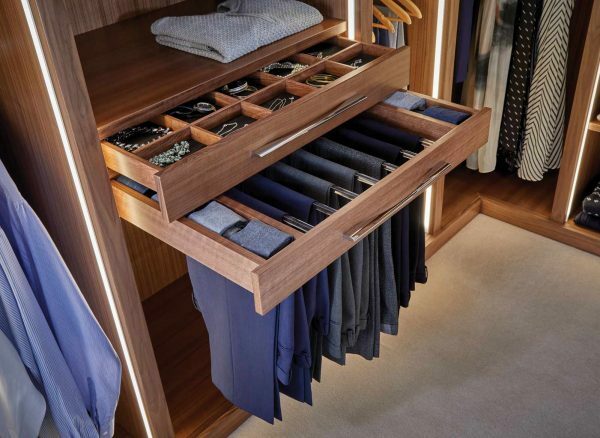 Combined with mood LED lighting, as well as delivering a wonderfully welcoming environment, a variety of carefully considered storage features can be tailored to suit your wardrobe and every need. 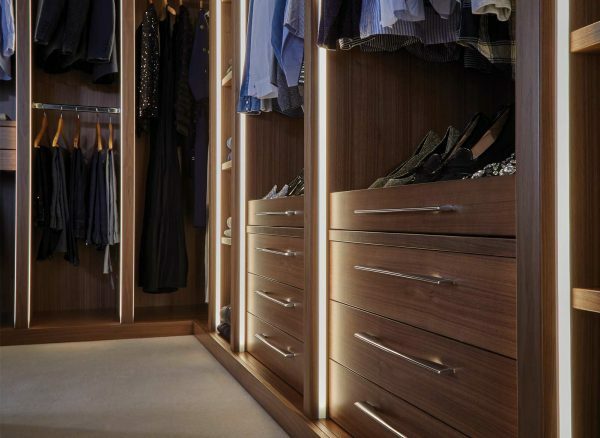 A statement feature of this fitted Ultimo dressing room is the integrated LED strip lighting, which operates via a remote control or switch. This is inset along the full wardrobe height to deliver a warm illumination to the whole interior and provide an additional source of room lighting. 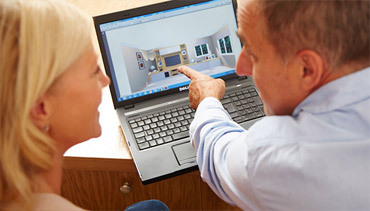 Different moods and zones can be set to create a personalised and stylish aesthetic. 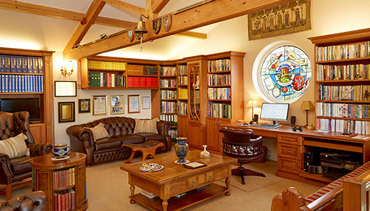 Designed with his and hers areas within the layout, this dressing room offers an assortment of storage solutions to accommodate clothing, footwear and accessory collections. These include a slide out soft close trouser rack, combinations of full height and half height hanging and a luxury velvet lined drawer, which features separate segments for effortless organisation. 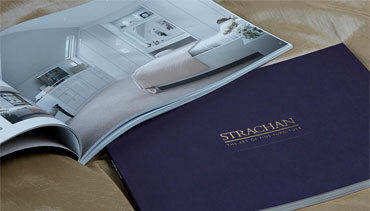 An expertly crafted island unit takes pride of place in the centre of the Ultimo dressing room. A mixture of open shelving and soft close drawers in this unit provide additional space for clothing items and footwear. For extra comfort, a bespoke seat cushion has been added which can be upholstered in a fabric of your choice for a personal touch.